Some people do this, some don't. I like a finished bottom on my stones because I usually set them open backed. 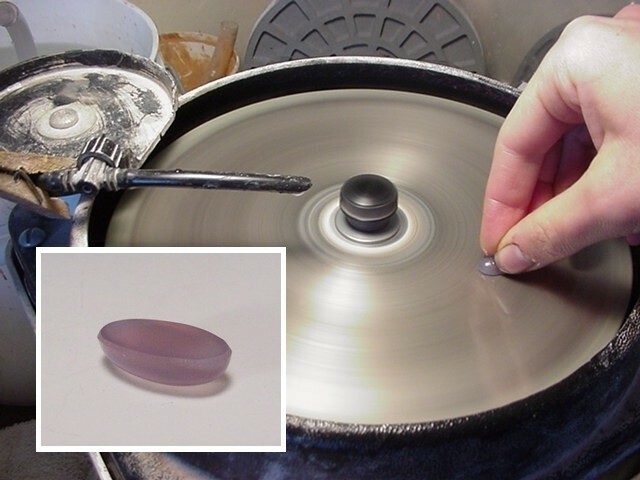 Translucent stones always look better with a polished bottom. I also know it's a lot easier to set a stone with a beveled bottom. This allows a little space if there's any solder on the seam and reduces wobble. Small stones often need to be re-dopped upside down to get a good grip on the stone (my hand-held method is why I will never have fingernails).